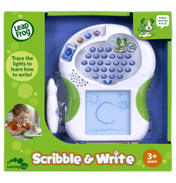 LeapFrog's company vision is ‘to inspire in children and families a lifelong love of learning by making the highest quality educational electronic toys that are unique, fun to play with and great tools; and these are products that we believe will fundamentally change the way children play and learn for a lifetime’. This is a wonderful vision to have and LeapFrog have truly made a range of products for infants upwards that do everything they have set out to achieve. 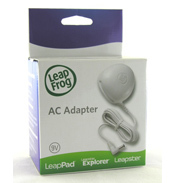 LeapFrog was founded in 1995 by an American lawyer, Michael Wood. He first got the idea for LeapFrog in the late 1980s when his then 3 year old son was having problems connecting the names of the alphabet letters to the sounds of the letters. He looked everywhere to find some kind of toy to help him with this but there was no educational phonics toy on the market. He was able to use his contacts at the firm where he was a lawyer to bring his ideas together into a manufactured product and this led to the first LeapFrog product onto the market called the Phonics Desk and the beginning of the LeapFrog company. 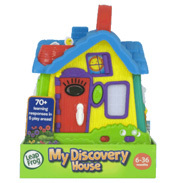 This product did extremely well as it was a sturdy plastic educational toy aimed at young children and no others existed at that time. 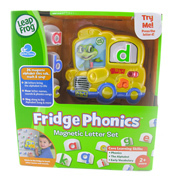 Over the last few years LeapFrog have grown and introduced a large range of new products covering subjects including phonics, reading, writing and maths for children of all ages. 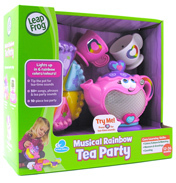 The Toy Shop at WWSM stocks many of the LeapFrog range of educational toys for children. Please take a look at the following shelves to see what will best suit you and your child. Infant Everyday Play shelf– this shelf has a range of products aimed for infants from as young as 6 months old and there are so many to choose from. 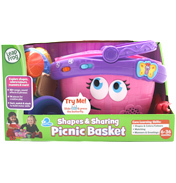 My Pal Scout and Violet are very popular and are perfect for a baby as they can easily push the paws by themselves to listen to the different songs and activities. There are also Musical toys, like the Learn & Groove Piano, and toys to help with learning numbers and the alphabet, like the Alphabet Pal and Baby Counting Pal. 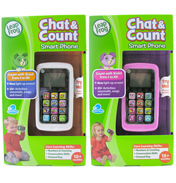 Leapster 2 shelf – the Leapster2 is a handheld learning system which is available in green or pink. This is available on this shelf along with many of the games which allow children to read electronic books, create artwork and play some exciting adventure games, including, Sonic X, Disney Cars, SpongeBob SquarePants and many more. 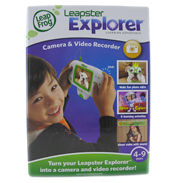 Leapster Explorer shelf – on this shelf you can find the Leapster Explorer console which is another handheld game system. Cartridge games are available for this system but also you can download learning apps using a USB cable, making this a very current learning product for children. Tag Reading System shelf – when you touch the pages of the special Tag storybooks with the Tag reader you can hear a story being read, listen to the words and read along, an excellent product for encouraging children to read and learn. This shelf has the Tag Reading System, Tag Junior, and some of the accompanying books. We hope you enjoy looking at all of the LeapFrog products we have to offer here in the Toy Shop at the World Wide Shopping Mall. Simply choose your desired shelf from the list on the left-hand side or enter your search term into the search bar at the top to find your desired LeapFrog learning system.